We would love to hear from you! Please click get in touch below to request a sample pack or a call back. We can produce any spec or quantity. Please call us to discuss your requirements. In today's competitive business environment it is important to make the most of every opportunity. Ensure you’re always prepared with our premium quality business cards! 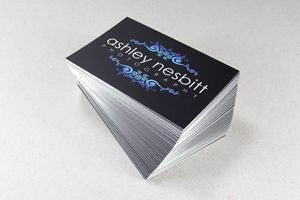 Our business cards are printed on to luxurious thick card using our state of the art full colour press and have a variety of finishing options including lamination, spot UV , and hot foil. Project is saved. Click add to cart to continue. __brutto__ with VAT per pc. __discounted_brutto__ with VAT per pc.